Mr. Chairman and Members of the Committees, I appreciate the opportunity to appear before you today to discuss the challenges and vulnerabilities the Internal Revenue Service (IRS) continues to face in improving the economy, efficiency, and effectiveness of tax administration. My comments will also address the IRS’ compliance with the IRS Restructuring and Reform Act of 1998 (RRA 98). Three years ago when the former Treasury Inspector General for Tax Administration (TIGTA) appeared before you and reported on the IRS’ progress in implementing the RRA 98 provisions, the IRS was in the midst of a significant business restructuring. The IRS was reorganizing itself into four operating divisions to have end-to-end responsibility for defined groups of taxpayers with similar characteristics. Key business systems modernization initiatives were underway to redesign the IRS’ outdated computer systems, and management was improving the organization’s customer service operations to better serve and communicate with taxpayers. As of today, while the IRS has revamped some of its business processes and practices, progress has been slow in implementing critical improvements to IRS operations to provide world-class service to taxpayers. With the appointment of a new IRS Commissioner and the expected departures of key executives, the IRS is also encountering tremendous leadership changes. The new Commissioner is challenged with continuing the IRS’ reinvention efforts in modernizing its computer systems, protecting taxpayer rights and privacy, and ensuring tax law compliance and enforcement while providing improved customer service. In addition to turnover in the top IRS management positions, there are also membership changes on the IRS Oversight Board that could impact the direction of ongoing IRS initiatives. -Ø IRS employee and infrastructure security. -Ø External attempts to corrupt federal tax administration. As a result of our audit and investigative work, I believe the following issues are the most significant challenges facing the IRS. After September 11, 2001, the IRS and TIGTA’s Office of Investigations took significant actions to protect IRS employees, facilities, and computer data infrastructure from the threat of terrorism. The process that TIGTA established to share information with the IRS about potential terrorist threats was very positively evaluated in an October 2002 General Accounting Office (GAO) audit report entitled, IRS and Terrorist Related Information Sharing (GAO-03-50R). The IRS has developed adequate security policies and procedures but has not implemented them effectively. As a result, sensitive information remains vulnerable to attack by hackers, terrorists, and disgruntled employees and contractors. While recognizing that total security can never be achieved and that there are necessary trade-offs between security and operational needs, TIGTA continues to identify significant weaknesses in infrastructure and applications security. TIGTA attributes many of the IRS’ security problems to misplaced accountability. As we reported last year, the IRS does not hold its business unit (functional) managers accountable for the security of their systems. Instead, the Office of Security Services took primary responsibility for this function. As a result, functional managers did not annually assess the security of their systems, as required by both the Office of Management and Budget Circular A-130, Management of Federal Information Resources, and the Federal Information Security Management Act. Significant effort will be required to transfer primary responsibility for systems security from the Office of Security to business unit managers. In addition, attention is needed to enhance the security awareness of IRS managers and employees, and employees with key security responsibilities must be better trained. The IRS’ goal of providing efficient and responsive information services to its operating divisions is heavily dependent on modernizing its core computer systems while maintaining the existing systems. Since 2001, the BSM Program has been deploying projects and learning valuable lessons that should help improve future projects. Deployed projects have included an upgraded IRS toll-free telephone system to provide capacity to route taxpayers’ calls to the appropriate IRS employee; an Internet application that allows taxpayers to check the status of their returns and refunds; and portions of an IRS-wide secure technology environment and a system designed to improve the availability and performance of modernized systems. The IRS also released an update to its Enterprise Architecture that serves as the roadmap for current and future modernization projects. However, the most significant and complex projects have yet to be delivered. One of these projects, the Customer Account Data Engine or CADE, will eventually replace the existing Master File of taxpayer accounts. The Master File is the IRS’ database that stores various types of taxpayer account information and includes individual, business, and employee plans and exempt organizations data. Therefore, CADE will be the foundation for managing taxpayer accounts in the IRS’ modernization plan. CADE will consist of databases and related applications that will include processes for daily posting, settlement, refund processing, and issue detection for taxpayer account and return data. The CADE databases and related applications will also enable the implementation of other modernized systems that will improve customer service and compliance and allow the on-line posting and updating of taxpayer account and return data. The portion of the CADE related to individual tax accounts will be incrementally deployed in five releases, each related to a specific taxpayer segment, over several years. The IRS and its contractor (PRIME) have made progress in delivering the CADE project by building a substantial portion of Release I and creating a comprehensive foundation for all five releases. However, the contractor’s development of the CADE project has experienced significant delays and increased costs. As shown in the previous table, the Release 1 deployment date is now estimated to be August 2003, which is about 20 months behind its planned delivery date. The IRS and PRIME contractor initially estimated that Release 1 could be delivered for approximately $51.9 million, an estimate that was revised 6 months later to $64.6 million. The IRS and PRIME contractor have agreed to cap the Release 1 development costs at $54.5 million. Project delays can be attributed to underestimating the complexity of this effort and difficulties in identifying and managing the project requirements. Specifically, these difficulties occurred in developing the balancing, control, and reconciliation process; comprehensive documentation for the CADE Computer Operations Handbook; computer system naming standards, and testing activities. -Ø The time it takes the IRS to initiate a compliance contact with a taxpayer will not be reduced. -Ø The IRS’ ability to offer one-stop service to taxpayers by allowing Customer Service Representatives to identify all issues a taxpayer might have with the IRS when a contact is initiated will be delayed. -Ø The IRS’ ability to answer taxpayer account-related questions with timely and complete data will be limited. RRA 98 mandated that IRS be more responsive to customer needs. To refocus its emphasis on helping taxpayers understand and meet their tax responsibilities, the IRS revised its mission statement. The IRS has made some progress in enhancing its customer service activities. For example, taxpayers have several options from which to choose when they need assistance from the IRS in answering tax law questions. These options include walk-in service at nationwide Taxpayer Assistance Centers (TAC) and toll-free telephone assistance. During this calendar year, TIGTA assessed the service provided by representatives at the TACs and through the Toll-Free Telephone System. Overall, the IRS has made improvements in providing service to the taxpaying public. For example, during January through April 2003, IRS employees correctly answered 25 percent more questions, provided 19 percent fewer incorrect answers, and referred 87 percent fewer taxpayers to publications than for this same period last year. In January 2003, TIGTA also began assessing whether IRS employees were adhering to operating guidelines by referring the tax law questions we asked, which were outside the scope of services they have been trained to answer. The auditors asked 157 “out of scope” questions and determined that employees did not follow referral procedures for 105 (67 percent) of these questions. The IRS’ accuracy in responding to taxpayers’ questions using the IRS’ Toll-Free Telephone System was somewhat better than that at the TACs. Between January 27 and March 13, 2003, our reviewers performed on-line monitoring of 259 taxpayers calls and determined that IRS representatives correctly answered the taxpayers’ questions in 71 percent of the cases. The tax return filing season impacts every American taxpayer and is, therefore, always a highly critical program for the IRS. In addition to providing customer service to American taxpayers, the IRS must coordinate tax law changes, programs, activities, and resources to effectively plan and manage each filing season. Overall, the 2003 Filing Season has gone well and tax returns are being processed timely. Based on TIGTA’s review, it appears that the IRS should complete processing of individual returns on schedule with all tax refunds being timely issued within the required 45 days from the filing season closing date of April 15. IRS data show that, as of May 9, 2003, over 52 million electronic returns had been received. The official projection for total electronic returns is 54.3 million. Electronic returns have increased by 12 percent from this time last year. In addition, over 69 million paper returns had been received. The official projection for total paper returns is 78 million. Paper returns have decreased by 8 percent from this time last year. Many new and significant tax law provisions affected taxpayers’ Tax Year (TY) 2002 individual income tax returns, including two Economic Growth and Tax Relief Reconciliation Act of 2001 provisions involving education expenses and retirement savings. These provisions included changes to education savings accounts, qualified tuition programs, and individual retirement arrangements (IRA). In addition, the Act created a new tuition and fees deduction and a new retirement savings contribution credit (also referred to as “saver’s credit”). These changes were considered significant because they could affect an estimated 86.5 million taxpayers by providing tax benefits of up to $7.6 billion in FY 2003. Properly implementing such changes required the IRS to reprogram its computer systems to ensure that taxpayers received the tax benefits allowed by the new provisions. TIGTA’s analysis of IRS computer programming requests to prepare for the filing season showed that the requests were timely submitted and were generally accurate; however, some errors and omissions were identified. For example, computer programming requests to implement the new retirement savings contribution credit and request changes to the IRA deduction contained errors that could have denied credits or deductions to some taxpayers. Also, omissions in computer programming requests may have resulted in the loss of tax revenue by allowing certain taxpayers to receive larger credits or deductions than they were eligible to receive. This possibility exists for the new retirement savings contribution credit, the IRA deduction, and the student loan interest deduction. Due to the comprehensive nature of this reform law, the IRS has dedicated significant attention and resources toward implementing the RRA 98 provisions. RRA 98 included fundamental changes to tax law procedures and 71 provisions that increase or further protect taxpayers’ rights. The IRS has taken several actions to improve compliance with these provisions. For example, in some instances, the IRS added a higher level of managerial review, implemented new computer controls to prevent certain violations from occurring, and provided additional training and guidance to help employees and managers understand the provisions’ requirements. TIGTA has reported that the IRS has fully implemented three taxpayer rights provisions - Mitigation of Failure to Deposit Penalty, Seizure of Property, and Taxpayer Advocate-Hardships. The IRS is generally compliant with two other provisions – Illegal Tax Protestor Designation and Collection Due Process for Liens and Levies. Ø Notice of Levy – Most levies are computer generated and subjected to systemic controls that effectively ensure that taxpayers are informed of their appeal rights at least 30 days prior to receiving a systemically generated levy. In some circumstances, however, IRS employees must issue manual levies. Though managers approve and review manual levies issued by Automated Collection System employees, manual levies issued by revenue officers are not required to be reviewed and approved by managers. This significantly increases the risk of taxpayers not having their appeal rights properly protected. Ø Restrictions on the use of enforcement statistics to evaluate employees – A review of 74 judgmentally sampled enforcement employees’ performance and related supervisory documentation prepared between October 1, 2001, and August 31, 2002, revealed no instances of the use of tax enforcement results, production quotas, or goals to evaluate employee performance. There was also improvement over the previous year in documenting the evaluation of employees on the fair and equitable treatment of taxpayers. In addition, a review of 21 statistically sampled supervisors showed the IRS completed the required consolidated office certification memoranda on whether tax enforcement results were used in a prohibited manner. Ø Notice of Lien – An estimated 14,695 lien notifications, out of a population of 367,385 lien notices prepared between August 1, 2001, and June 30, 2002, were not mailed to the taxpayer, the taxpayer’s spouse, or to the taxpayer’s business partners; or were not mailed to the taxpayer’s or spouse’s last known address. Taxpayer rights could be affected because the taxpayer who failed to receive a notice or who received a late notice might not be aware of the right to appeal or could have less than the 30-day period allowed by the law to request a hearing. Ø Seizures – TIGTA determined that in a statistical sample of 102 seizures from the 218 seizures conducted by the IRS between October 2001 and June 2002, the IRS complied with legal provisions and internal procedures when seizing taxpayers’ property for payment of delinquent taxes. Ø Illegal Tax Protestor (ITP) Designations – The IRS has not reintroduced past ITP codes on the Master File, and formerly coded ITP taxpayer accounts have not been reassigned to a similar ITP designation. In addition, the IRS does not have any current publications with ITP references. However, IRS employees continue to make references to taxpayers as ITPs and other similar designations in case narratives. TIGTA identified 321 taxpayers that were potentially affected due to improper designations. We have not reported that these taxpayers have been harmed by the designations. Only a thorough review of each taxpayer’s case and the treatment accorded that taxpayer would determine if these taxpayers have been harmed. In our most recent report on this subject, TIGTA recommended that the IRS review each case where the reference to ITP or similar designation had been identified and make such determinations. In its response to the draft report, the IRS disagreed with our determination that in order to comply with this provision, IRS employees should not designate taxpayers as ITPs or similar designations in case histories. 48 (33 percent) of the tax returns sampled, TIGTA could not determine if employees advised taxpayers of their rights because related case files did not contain a record that taxpayers had been advised of their rights. In 22 of the 24 (92 percent) jointly filed returns sampled, there was no documentation in the related case files that each taxpayer listed on the return was separately informed of his or her rights (i.e., dual notification). Ø Denials of Requests for Information Under the Freedom of Information Act – TIGTA identified an estimated 458 responses to Freedom of Information Act or Privacy Act requests where information was improperly withheld, out of 4,610 requests for information that were denied in whole or part, or where the IRS replied that responsive records were not available. There were also an estimated 1,052 responses to Internal Revenue Code Section 6103 requests where information was improperly withheld, out of an estimated population of 8,612 requests that were denied or partially denied or where requesters were told that records could not be located. Ø Collection Due Process – The IRS substantially complied with the requirements of the law and ensured taxpayers’ appeal rights were protected in 85 of 87 (98 percent) appeal cases reviewed. In the remaining 2 cases, TIGTA did not conclude that the noncompliance resulted in a legal violation of the taxpayer’s Collection Due Process (CDP) rights since collection actions were not initiated. In addition, approximately 94 percent of the CDP determination letters provided to taxpayers (82 of 87 letters) followed the established IRS guidelines. This was a noticeable improvement over prior audit results when approximately 14 percent of the determination letters were determined deficient. Ø Restrictions on directly contacting taxpayers instead of authorized representatives. Ø Separated or divorced joint filer requests. Ø Fair Debt Collection Practices Act (FDCPA) Violations – The IRS does track potential FDCPA violations on its computer systems; however, we determined that data on one system may not always be complete and accurate. Based on information recorded as potential FDCPA violations on the IRS’ computer system, TIGTA identified two violations that occurred after July 22, 1998, that resulted in administrative actions being taken against employees. The IRS had no closed cases in which the IRS paid any money to taxpayers for civil actions resulting from FDCPA violations. The IRS’ goal of providing world-class service to taxpayers hinges on the theory that, if the IRS provides the right mix of education, support, and up-front problem solving to taxpayers, the overall rate of voluntary compliance with the tax laws will increase. The compliance program (examining tax returns and collecting tax liabilities) would then address those taxpayers who purposefully did not comply. The challenge to IRS management is to establish a tax compliance program that identifies those citizens who do not meet their tax obligations, either by not paying the correct amount of tax or not filing proper tax returns. Enforcement actions against individuals and businesses that purposefully conceal tax liabilities or even refuse to submit tax returns have fallen dramatically, despite concerns that tax cheating remains at high levels. The following chart exhibits the fact that, since FY 1996, the level of IRS enforcement activities has significantly declined. examination time, and to IRS employees’ concerns over the mandatory termination provision in Section 1203 of RRA 98. IRS management and many stakeholders have been concerned about the decline in enforcement activities. However, the IRS has not conducted Taxpayer Compliance Measurement Program audits since 1988. Therefore, it currently has no reliable method to measure voluntary compliance or the effect that increased customer service and diversion of compliance resources are having on voluntary compliance. TIGTA believes that the ongoing National Research Program is a much-needed first step for providing the information necessary to gauge compliance levels and direct IRS compliance resources towards areas where attention is most needed. Ø Conducting the National Research Program, which is designed to measure the level of compliance nationwide. Ø Restructuring many Collection and Examination processes. Ø Focusing on known compliance problems through programs like the Offshore Voluntary Compliance Initiative and the use of Private Collection Agencies. In addition to our audit responsibilities, RRA 98 charges TIGTA with investigating Section 1203 violations. Section 1203 identifies standards of conduct for IRS employees that are intended to address serious and willful acts of misconduct. Section 1203 requires the Commissioner of Internal Revenue to terminate the employment of any IRS employee found guilty of any 1 of 10 specific acts or omissions. TIGTA’s role in investigating these allegations of employee misconduct serves to protect taxpayer rights and assure integrity in IRS operations. The IRS monitors Section 1203 complaints in its Automated Labor and Employee Relations Tracking System - known by its acronym, “ALERTS.” The vast majority of Section 1203 complaints recorded in ALERTS have alleged that an IRS employee violated a provision of the Internal Revenue Manual or the Internal Revenue Code in order to retaliate against or harass another person. The second category, as measured by the number of complaints, involves the employee’s understatement of Federal tax liabilities. The IRS receives and adjudicates numerous Section 1203 allegations where no independent TIGTA investigation is needed. When TIGTA involvement is warranted, our focus is to determine the facts of the situation as well as the intent of the violating employee. An employee’s intent is an essential element that must be present for Section 1203 disciplinary action to be taken. 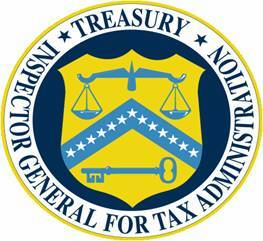 As of March 31, 2003, ALERTS indicated that 96 employees have been fired and 202 employees have resigned or retired as a result of TIGTA and IRS investigations. Since the inception of Section 1203, TIGTA and the IRS have received a combined total of 5,605 Section 1203 complaints. TIGTA and the IRS are working together to continuously improve the process of receiving, investigating, and adjudicating alleged violations of Section 1203. In March 2002, a streamlined process was implemented which, enabled TIGTA to make an early differentiation between those 1203 allegations that are valid and those that are not. As a result, TIGTA has been able to devote its resources to the investigation of bona fide 1203 allegations and other employee misconduct. Mr. Chairman and Members of the Committees, I appreciate the opportunity to share with you today the more significant challenges that confront the new Commissioner and IRS senior management. Although the IRS has accomplished a great deal since the passage of RRA 98, much more remains to be done. TIGTA will continue its efforts to provide reliable and objective assessments of the IRS’ progress in balancing compliance and customer service, and to investigate employee misconduct or external threats that jeopardize the integrity, efficiency, and effectiveness of the nation’s tax administration system. The Form 94X family of returns is used by employers to report income and unemployment taxes withheld from employee wages. Form 720 is the Quarterly Federal Excise Tax Return. Estimated tax returns (electronic and paper) based on 1999 statistics.